Mid-Autumn Festival is underway once more and Park Hotel Group was kind enough to send me 2 boxes of their mooncakes (1 baked, 1 snowskin) for sampling purposes. 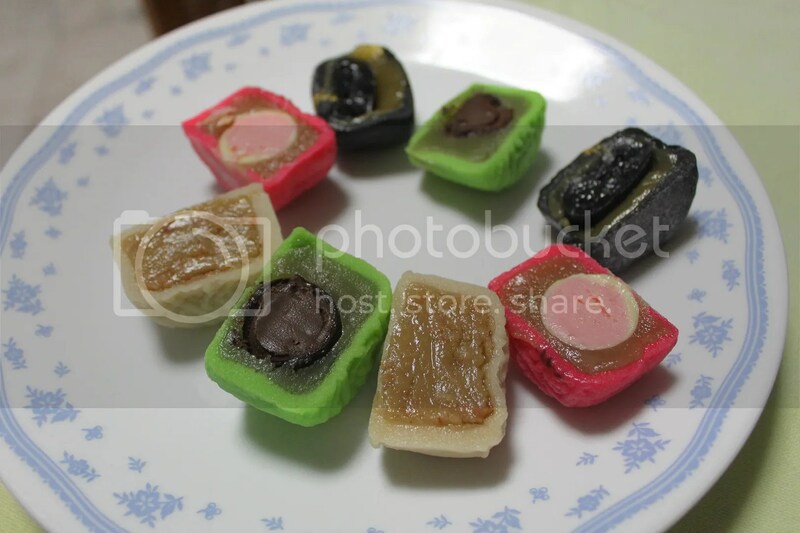 This year, they have introduced 3 new flavors: the Golden Jade with Duo Nuts (Vegetarian), Black Sesame & White Lotus Paste with Mochi in Snowskin, and Sakura Truffle with White Lotus Paste in Snowskin. 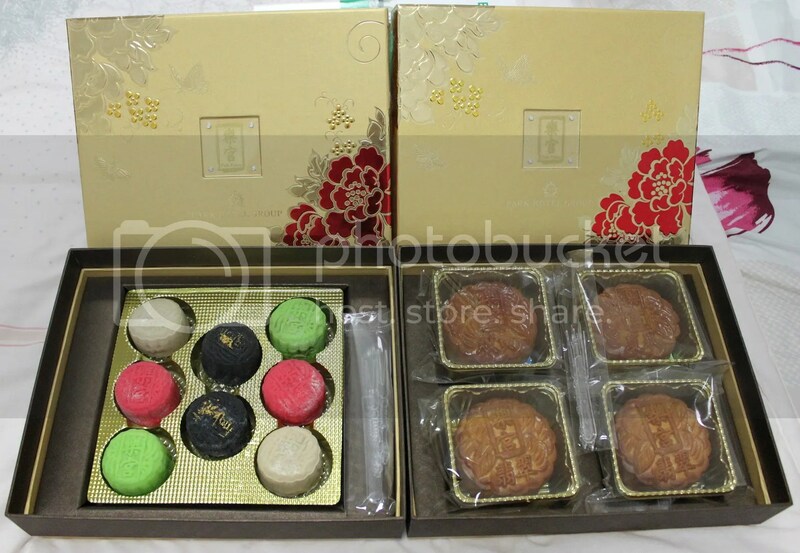 The box of Assorted Snowskin Mooncakes (8 pieces/$50) features 4 flavors: The Lychee & Lychee, the Black Sesame & White Lotus Seed Paste with Mochi, the Sakura Truffle & White Lotus Seed Paste, and the Baileys Truffle & Mint. Of which, the pink coloured Sakura Truffle was my favourite, largely due to its delightful round core of sakura-scented chocolate. Single-flavored boxes are also available and priced at 8 pieces/$50. 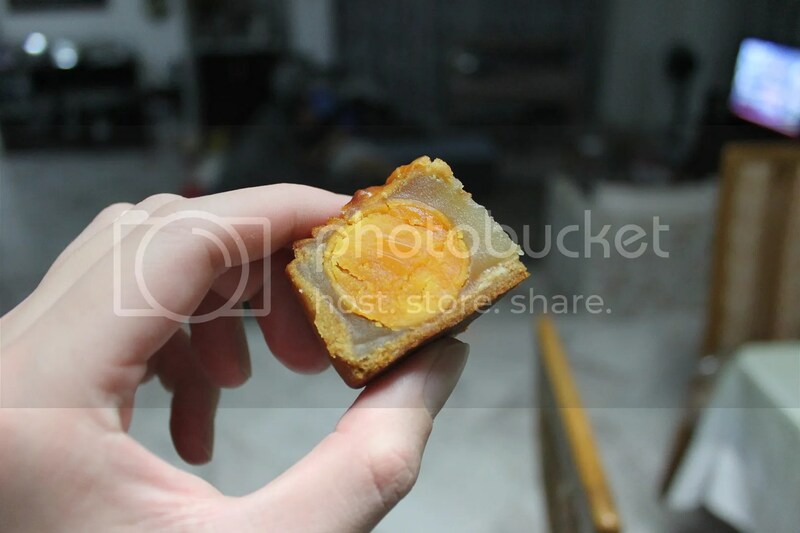 Depending on the number of yolks in each mooncake, the more traditional baked variants are being priced between $50-$59. From the baked selection, the Golden Jade with Duo Nuts was my favourite. 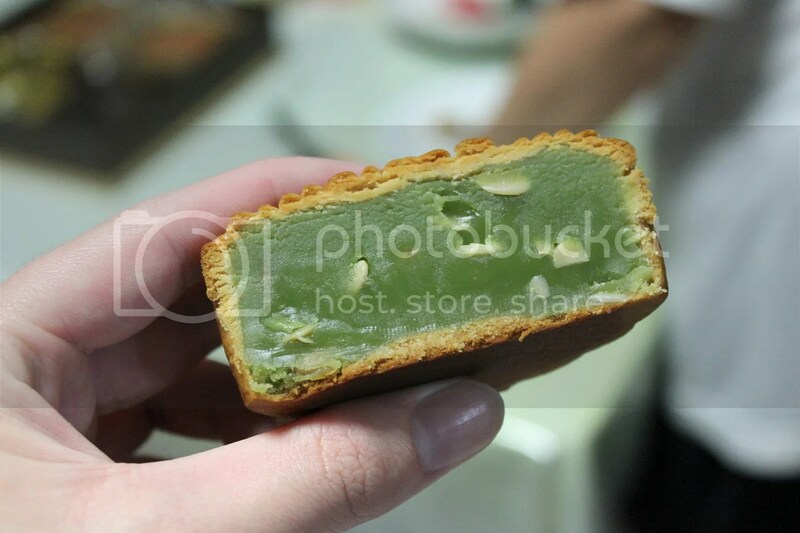 It’s something a little more unique, with a green pandan paste replacing the ubiquitous lotus paste. The pine nuts and melon seeds also provide a nice crunch. Do quote “DrPiggy from yumyumformytumtum” to enjoy 20% off your mooncake purchases (for the 1st – 20th box, and additional 5% off for the 21st – 50th box). In addition, you will also receive a Park Palace’s Signature Whole Roast Duck voucher (terms: min spending of $120 at Park Palace). 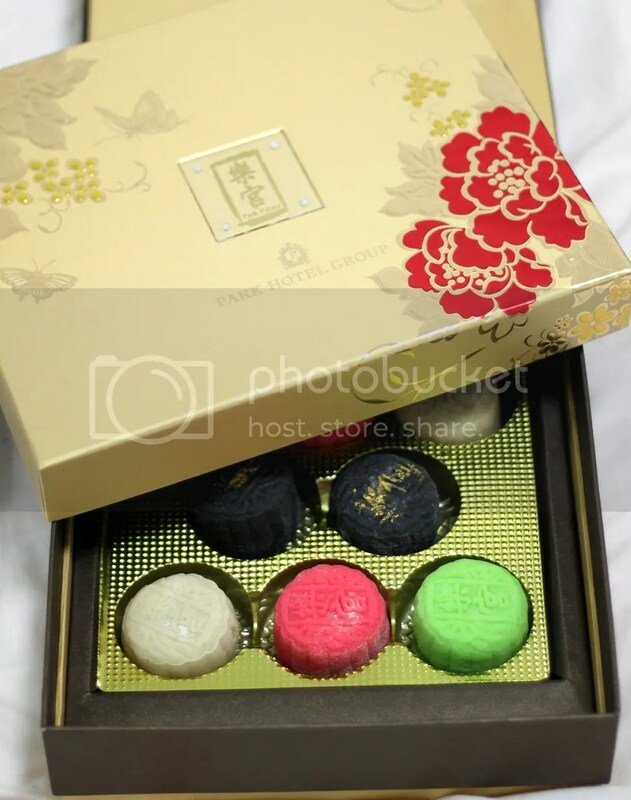 Special thanks to Park Hotel for the mooncakes.